MOSCOW (Sputnik) - Austrian Chancellor Sebastian Kurz is set to visit the Western Wall in the Old City of Jerusalem later on Sunday, which will mark the first time in the recent years that a leader of an EU country to visit the holy site, despite it being billed as a "private" visit, The Jerusalem Post reported. According to The Jerusalem Post, Kurz will visit the Western Wall as part of his visit to the Old City that will take him to the Austrian Hospice on the Via Dolorosa and the Church of the Holy Sepulchre. The visit will be followed by his meeting with Prime Minister Benjamin Netanyahu on Monday. The newspaper noted that Israeli officials attached high importance to Kurz's visit to the Western Wall, even though it was not a formal one. The officials reportedly stressed that while US leaders have started visiting the site, the trip to this part of the disputed city is not on the itinerary for European leaders. 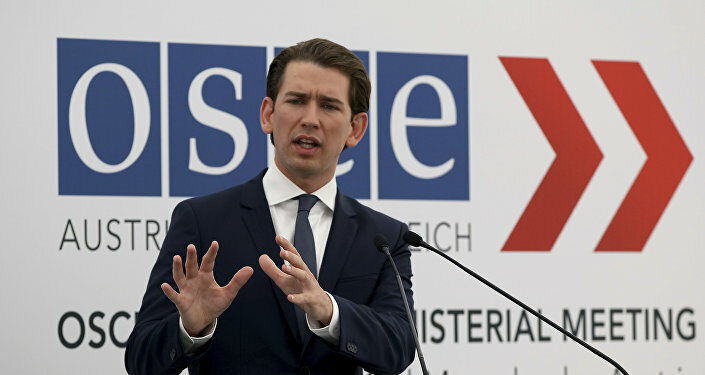 The media outlet said that the visit attracted even more attention since Kurz’s party was in the coalition government with the far-right Freedom Party of Austria, with which Israel refuses to engage since it was founded in 1956 by former Nazis. The visit comes as the situation in the region has further escalated amid the relocation of the US embassy from Tel Aviv to Jerusalem and mass rallies near the Israeli-Gaza border. The Israeli side has been accused of disproportionate use of force, which led to dozens of Palestinians being killed and thousands of others injured. Earlier in the day, the chancellor arrived in Jerusalem. Kurz started his visit at the World Holocaust Remembrance Center and laid a wreath at the Hall of Remembrance. There, he stressed the need to make sure that the Nazi atrocities would never be forgotten and noted the need to counter anti-Semitism.